Thimbleweed Park is running on both the iPhone and Android. With no UI changes, it's surprisingly playable, even on a small screen. We're planning on several changes that make touch work better, but still retain the classic UI feel. It's still along ways off, but here is a sneak preview. Joost, our Linux programmer did both the ports. Nice work guys. This looks great. That's impressive. Porting your game engine to IOS must have been an interesting task. Did some of this work happen previously for Scurvy Scallywags? Wow, that was fast. I expected the mobile versions not before the PC release of TWP. Are you planning to release the Android and iOS versions with the Windows/macOS/Linux versions? Or is this more like a proof of concept? They will come out a few months after. There is just too much to do and we're a small team. Hi, I'm a kickstarter backer and was wondering if I could get the iOS version instead of the Mac/Win/Linux? Thanks! Any specs about memory requirements? There are other Lucasarts and Lucasarts-esque Point-and-click games with similar verbal interfaces that are available on both iOS and Android such as Maniac Mansion: Day of the Tentacle and Monkey Islands 1 & 2. Will you use them to influence your UI design or will you think up something different? What I mean is how the user interacts with the program (e.g. "jab and swoosh"), not any specific UI. But on the other hand, if you like to offer any UI description, knock yourself out (though not literally, I hear it hurts a TON!)! It's going to as close to the classic UI as possible, we're not doing some trendy touch UI. One change is: on the PC, events are triggered on mouse down, on touch they will be triggered on touch up, so you can swipe around the screen for hotspots. It's important to us to keep it as close to a classic game as possible, but also make it very playable. Hi Ron, i just noticed something and thought to point it out... I see in this preview that the when you touch the screen the pointer goes straight to the coordinates of your finger, while in the ScummVM implementation for touch devices when you touch the screen the pointer doesn't move, it only moves when you drag your finger on the screen (so if you drag your finger 1cm left the pointer goes 1cm left from where it was). This allows you to position the pointer where you want and then tap to simulate the click. Just to be clear, I'm NOT suggesting in any way that this would better than what you have at the moment. I always prefer to do it like Ron has it in "direct mode", it seems easier and more direct that way. "The touchscreen can be used in two modes: direct mode and touchpad mode. The default mode is touchpad mode. When in direct mode, the mouse cursor moves to the touched point on screen. In touchpad mode, the mouse cursor is independent of the touched point, it is moved relative to its current position - like on a touchpad. The Android version of ScummVM doesn't have an input configuration dialog yet, but as a temporary workaround, touchpad mode can be toggled with the "Mixed AdLib/MIDI mode" checkbox on the MIDI tab in ScummVM's main options dialog. Restart ScummVM after changing it." "it seems easier and more direct that way"
Main problem #1 is that fat finger which is obstructing the view (especially when scanning for hotspots). Problem #2 is precision. With a new game like TWP you can work around it e.g. using some radius in which the touch location snaps to the nearest hotspot. In ScummVM and all its games and engines it's maybe not that easy. Some games may require pixelhunting e.g. by having hotspots placed very near each other. #1 could still be an issue with TWP, not sure what's a better solution than using some touchpad-mode. Maybe just add a way to easily show all available hotspots (-> no scanning necessary)? Or position the cursor with an offset (could feel awkward)? I like the pen/stylus idea :-D ok now I'm going to fire up a kickstarter to produce a new smartphone with a CRT display. I'm gonna call it "the iBrick". I....'m not sure what you are doing with your fingers but I agree that touchpad-mode doesn't feel that great. Long time ago I played with ScummVM on a small phone but had a stylus. On my current tablet I have a) a relative large screen and b) also a pen (although rarely used). I've actually never ran into this issue. But depending on the screen size / finger size ratio I can imagine it. So I'm curious how it will be solved in TWP. Wow....so much tapping. You should create tapping count system and show the score at the end of the game. That brought up a question...did you make any scoring system for this game? I played a whole ton of classic point-n-clicks on Kindle Fire on scummvm (most lucasarts, amazon queen, beneath a steel sky, toonstruck, etc.) and they play really well on it (it's some form of Android). I'm hoping Thimbleweed Park will be on the Amazon store, but otherwise I think I can buy the regular Android version and then save it onto the Kindle (as I did with the classic games). There is a ScummVm for android and it runs on the Kindle Fire? I never thought of that, but in combination with the video above, I so feel like trying that out now! A few of the classic games you can get direct from the Amazon app store... I think the first two Simon the Sorcerers, Flight of the Amazon Queen, and also the first Broken Sword and Gabriel Knight. I only tried Broken Sword from there and it worked fine, but I haven't tried any others. For ScummVM you need to "sideload" it, where you have the Android version of ScummVM on your computer and put it on you Kindle Fire via USB, then you click on it on the Kindle and let it install (but first you need to change a couple of settings to let you install outside programs, if you google "sideload apps kindle fire" you can find what to change). Then you just dump the games files from your computer into a folder on you Kindle Fire and then in ScummVM find the files. The easiest games to play are any with clear verbs, like Monkey Island 1 and 2, Day of the Tentacle, Simon the Sorcerer 1 and 2, Flight of the Amazon Queen, and Indiana Jones and the Fate of Atlantis. I remember Sam and Max also playing fine too. Monkey Island 3 I remember having to do the equivalent of a right-click, where you hold one finger on the screen and then you tap with another finger to bring up the little verb symbol thing. It was a bit annoying, but ok. I think Toonstruck and Beneath a Steel Sky also had some of this right-clicking stuff, but it was easier (I can't remember exactly why, I think there was just less of it). I seem to remember Maniac Mansion and Zak being a bit tougher because the verbs are smaller and more fiddly. I tried playing Indiana Jones and the Last Crusade but I couldn't figure out the controls to fight, so I don't know if it's playable on touchscreen. Haven't tried Loom, Full Throttle, or The Dig yet, so don't know how those are. "The Android version of ScummVM doesn't have an input configuration dialog yet, but as a temporary workaround, touchpad mode can be toggled with the "Mixed AdLib/MIDI mode" checkbox on the MIDI tab in ScummVM's main options dialog. Restart ScummVM after changing it."" Ah, thanks. That helps a lot! I tried Indiana Jones and The Last Crusade with ScummVM in Android phone, and fighting was impossible. At least with default controls. It's tricky indeed on the phone. I used the virtual keyboard back then. I'm not sure, but if I remember correctly, the fights are easier if you reduce the dialog text speed. Okay... tried Beneath A Steel Sky. I totally like its retro look and the carefully painted pixel graphics. Although the moon logic of the puzzles once more makes clear why Monkey Island is seen as the ultimate classic of the genre. One main mistake is how the game makes the hunting for hints part of the puzzles. That way very often it is entirely unclear what to try next until finding the hint unlocks the puzzle. There is a science behind the genre and I am surprised how few designers seem to have mastered it. Good Job Joost. Did you port the C code to Java to run on the Android? Or to objective C for the iOS? or is there fancy frameworks that help you do it all? I'm glad you're keeping the classic UI look and feel, though possibly using the accelerometers to pan the camera left and right, might be an added bonus. Both platforms (iOS and Android) can run C/C++ code natively. So you can have one single code for your main engine (whatever is called Ron's new SCUMM engine) and run it on Windows, Linux, macOS, iOS, Xbox, and others. Then some platform dependent code is needed for things like touch control, achievements, etc. That makes a lot of sense, though there are some significant architectural differences there. What style of threading do you use? Do you have any GPU specific subsystems? I suppose with a game like Thimbleweed, you could run single threaded, and all on the CPU. I'd love to see a new Thimbleweed Engine post with some more details. However,. I don't know how much his engine developed since then, and whether he made any major changes which involves more porting complications. the parallax effect looks great here. Really hoping to be able to play it on my Rift someday. Look at the smoothness, and the simplicity. It looks like very playable and enjoyable! I think these porting will help spreading the Verb a lot, O Creator! Might want those voicemail messages to be DLC for the mobile app. I don't think i'll do the "pixel hunter" achievement for mobile app. A tvOS version would be awesome. With enough time and money, would it be possible/feasible with current assets? I mean if it works for Xbox, why not. The only thing that makes Apple TV hard is Apple's requirement that the initial download be less than 200M. Thimbleweed Park is not structure to be download in chucks. It's a solvable problem, but it will take a lot of work. Apple TV app don't sell at all, so it's only worth it if it can be ported in a few days (at most). Still crossing my fingers for Android TV support, it's a much bigger audience with TV's, Amazon Fire sticks/boxes, and me with the Nvidia Shield! +1 for Android TV support. Hope it's not that bad. I know my wife and I like to play adventure games together, and being able to do this on the TV would be great. If all else fails, you could always have an AirPlay mirroring feature that let you mirror your screen on the Apple TV but you actually play the game on the iPhone/iPad. That'd be cool. Speaking of 200M, how big is the game anyway? With all the final art, animation, sound, music, code and backer VMs, it's 290M. I don't know how much voice will add to that, maybe 200M. But that's just a guess. The folder which holds unfinished art, videos and the podcast i gathered over the course of the development is already 3,2G. I should backup it to tape drive. Put your AR Glasses and VR Headsets away kids, this is a throwback to the old mobile app days. Ron Gilbert has just released a new "Pinch and Swipe" adventure called Thimbleweed Park. Using the old "touch interface" has never been so fun, It really feels like its 2020 again. And this means it will run great on an iPad Pro 12 inch too. Those pixels must be HUUUGE. The only problem is that I need some money to buy one. Got any cash left Ron? Is the pointer always under your finger where you can't see it? Or is it ScummVM style? Who is this Joost, can we hear a bit more from/about him? A guest post on the blog, maybe? That should be on consoles with touchscreen like 3DS and Wii U! Maybe in the future... Developing for Nintendo DS is quite a pain, for 3DS even worse. Different architecture, but who knows. Meanwhile let's enjoy the game on the available platforms! Sorry, not gonna happen. Microsoft paid money to Terrible Toybox, Inc. (i.e. the Thimbleweed Park team) to make the XBox One version a console exclusive. That means Nintendo systems (and Sony ones for that matter) are a no-go. Microsoft has three months exclusivity. After that Playstation is a go. That is true. Playstation isn't 100% certain, but it's 99%. Nintendo is a complete unknown at this point. We need to wait for the new machine to come out and take stock then. Ah, I guess I was mistaken. So apparently Microsoft paid not for exclusivity but a head start! Will there be a way to hide/show the menu? I think a handle to tap on, to do that would be nice. Is the engine already almost free of bugs? I mean, by multiplying the number of ports you also multiply the remaining number of bugs, which you would probably have to fix and playtest individually, don't you? - the perfect program does not exist. ...yet! But we are trying! 10 REM THAT'S FALSE, ZAK. 20 PRINT "'I'M THE PERFECT PROGRAM, AND I'M BUG FREE"
Maybe it will be possible to connect a Bluetooth mouse if you are using an Android tablet for example? Then it would be like the PC user interface. A game controller support for smartphones would also be interesting. Especially if you play it en route. They could simply use the same controller mapping from the Xbox port. But I'm not sure how complicated it would be to implement - or how many people would use this option. I agree that it would be interesting en route. Do you have an evil twin called Small Green Button? Correct. But I can feel that there is still something good inside him. I haven't heard that joke. Is there a way to synchronize game progress across different devices? Like: "I want to play a little bit on my mobile phone, save the game, then proceed using my computer when I'll be at home" (sorry if that has been asked before). I fear that's too much effort, because the TWP team had to set up and maintain a server for that. It should be easily to implement with Steam and macOS/iOS. But these platforms are not compatible. So when you try to synchronize an Android game with the PC, you have to set up your own server. You don't necessarily need to setup a server. There are games which aren't using Steam Cloud Saves but other known cloud storage providers like DropBox (e.g. Broken Sword). ScummVM implemented cloud saves just this summer during GSoC: It supports Dropbox, OneDrive and Google Drive as storage provider. As long as the save file locations are known and there exists a proper sync application for your favourite cloud provider on your devices you don't even need a special implementation in the game itself (e.g. I've used DropBox with ScummVM save file locations before). 1. Saves are likely to be cross-platform compatible. 2. It will support cloud saves on platform which support it out-of-the-box (like Steam). 3. Ron said using 3rd party storage can be a PITA (actually PITH), but he will look into it. Yes, saving in the cloud is possible. Even with games that doesn't support the cloud. :) But in that case the player has to synchronize the saves. He has to "push" the save in the cloud after playing. Even if the game is doing that, there are cases where the save games could be out of sync. I.e. if the player plays on Android in the train without an internet connection and then later at home on his PC. Another problem is, that not all platforms are able to access all clouds. If you save your savegame in the Apple cloud, you are not able to synchronize it on Android. So this solution is not a "real" synchronization. :) It is easy to support a cloud but it's not easy to implement a full synchronization solution that works an all platforms. 1. When using such a closed platform for cloud saves then yes, you are out of luck regarding cross-platform access. But there are DropBox&Co. 2. The player doesn't need the push anything. If a save file gets changed it will be automatically synchronised as soon as possible. 3. When implementing cloud saves directly in the game you can handle conflicts there. e.g. Scurvy Scallywags showed a confirmation dialog. Actually I don't see a big problem with solving conflicts by automatically letting the last file win (e.g. when playing with my other device and I don't realise the save game isn't up-to-date or I don't care and play anyway, it will later overwrite the other file when I save [or the older file will be discarded on next sync]). (I assume the current implementation uses save slots? I guess that is what games do today). Note: We are talking about a syncronization function where the player gets the latest savegame on every platform without any user interaction. And not a simple save game exchange system. Great. You have just to implement/support these all and sync the save files between them. And not everyone has a DropBox / Google Drive account - especially Apple users. So you have to force the players to use Dropbox (or Drive or ...) - which are not available on the XBox as far as I know. "If a save file gets changed it will be automatically synchronised as soon as possible." ... overwriting the latest save game. And what happens when the space in the cloud execeeds? Yes, you can always ask the player. But then you get a save file exchange system and not a "I can just play on Android where i stopped at home on the Mac". "When implementing cloud saves directly in the game you can handle conflicts there." "e.g. Scurvy Scallywags showed a confirmation dialog." Which means: the player has to do the work. Beside that, Scurvy Scallywags is an iOS app (as far as i remember) and supports only the Apple cloud. The big problems arise when you try to support *all* platforms. Also note that it's the latest savegameS. A proper game has multiple save slots (but this doesn't make a lot of difference in handling them). You have to use some 3rd party storage provider when you want cross-platform saves which can be DropBox&Co, but can also be something hosted by the game company. If Apple/Steam provides a proper and public API to access files you could even use them as provider (but I guess not...). Also you don't have to use cloud saves at all! Local saves are always the fallback. "... overwriting the latest save game"
It overwrites the save in this current slot. That's the purpose. When it's a specific error like out of space then you can notify the user. Other errors or when offline there is no synchronisation (obviously). If you play on the other device you either realise yourself that the savegame is out-dated or not. You either play with the out-dated one (unintentionally or intentionally) or boot up the game on device #1 again to get it to sync. Save games aren't important backups so we can live with something like overwriting without asking. Scurvy Scallywags was just an example of another existing method (which I probably wouldn't propose). I would let the most current file overwrite the existing one. Note that "most current" is not defined by the time of the sync but the time when the file was created. Btw. I use something like a DropBox folder for e.g. ScummVM saves. Conflict resolution would probably need manual intervention but I would still call it automatic synchronisation. I've played several old Lucas and Sierra classic on my Android tablet, with a help of ScummVM, and it actually always surprises me how well the old P&C games work without a mouse. If the icons and the UI is clear, it's pretty simple to play them just as they are. Please support Samsung Galaxy Note devices which have a Wacom pen with true cursor hovering and an extra button on the pen. Also don't forget that people can attach a real mouse to an Android tablet. For both groups of people the full power and efficiency of the PC interface should be available. I know it's still WIP but I'm gonna comment on it anyway. Unless you can drag the cursor around without selecting things, and I wouldn't recommend that, I'm not sure what the point of having it on a touchscreen is. After all, the whole point of mouse cursors is to show you what it is you're pointing at since you can't interact with traditional GUI's directly. Touch interfaces abolished them for a reason. However, it does seem useful to have a way of getting the "cursor hover" information but I'm not sure what the optimal solution for this is. Holycrap, this is a first compile. Not one single thing was changed from the PC build. Yes, I realize it is going to change. That's why I started by saying "I know it's still WIP." I wasn't judging a port of a game, I was just listing my thoughts on cursors and touch interfaces. It's impressive how it looks cool without even changing a line of code. I agree with you, that's why I didn't like playing games on ScummVM on my phone, and for my game I opted for a "verb coin" approach which is way more suitable for touch displays - you touch once, you get the name of the hotspot, and if you want to interact you choose the according action from the coin. If I had to keep the verbs, I would do something like "if touch on walkzone walk, if touch on hotspot and no verb active show name of hotspot, if touch on hotspot and verb active do corresponding action". And also "verb active but touch isn't on hotspot - deactivate verb". Plus something else like double tap on the hotspot to activate the default action. But please absolutely no "hold touch" since I HATE that the finger is on the way and I like to keep my touches at a minimum. I'm not sure how to play such a game via ScummVM on Android nowadays, but, back (in 2012) when I used ScummVM on Android, I used a smartphone with physical buttons. So, triggerings were handled completely independently from the touchscreen. It worked well. The touchscreen was used only for moving the cursor, which means that the cursor moved the same way as my finger did. And, the cursor was not necessarily underneath the tip of the finger, so that I was able to see the cursor AND read the sentence line while I was moving the cursor. Well, seeing that smartphones have no physical buttons any more (except volume and power), the differentiation between simple movements of the cursor and triggerings seems to have become a bit more complicated. I would solve it similarly to touchpads: You trigger only by a sequence of a 'touch down' followed by a 'touch up' shortly after. Fortunately, accidental triggerings wouldn't be a big issue, because TWP has no dead ends. ScummVM supprts a direct touch mdoe these days, which allows the mouse cursor to automatically be where you touch the screen. It works pretty well on at lleast Lucas games and on the Sierra games I've played with it. The rest is handeled with double taps and multitouch. I see. I just tried MI 1 with it. It works fine, too, albeit the tip of the finger is not very precise. I don't know whether they already do but perhaps they should allow zooming in for increased precision. Well, especially in terms of the precision, I think that the touchpad mode, which has been discussed above, would allow more precision even without zooming. Moreover, a touchpad mode would allow you to relaxedly read the sentence line while you're moving the cursor over some verbs or objects, which, in my opinion, has been an essential element of the charm of the SCUMM games. For example, when you play MI1 via the direct touch mode, you hardly recognize that the three pirates in the SCUMM bar are "important-looking", which is not only an attribute but also a camouflaged hint. Reading the book titles in the library or in the occult bookstore would probably even be an ordeal. Btw. there are/were some ScummVM ports having a zoom feature. It was especially important for those crazy high resolution games like Broken Sword. thimbleweed just looks amazing.... i can't wait! It's so satisfying to see a modernised version of the game model I literally grew up with ! I don't own the game yet, and still, I want another one ! Are you involved in Up-World? It looks like a nice Point'n'Click game! Joost? JoostP perhaps? I remember him from my days on #scummvm. :) Good times. Has someone tested the UI for watchOS as well?! Hm, the (larger) display seems to have only 312 x 390 pixels. This could be a problem/nuisance. What about implementing an SLI-similar mode by pairing two (or three? (or six?)) 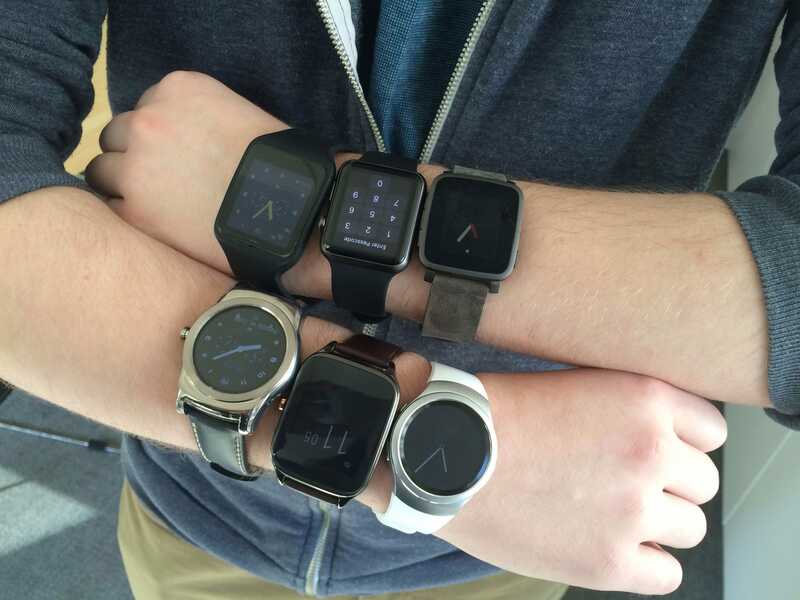 watches? a) I'm confident that the displays will increase for watches too. b) That's 57k pixels more than on the C64. c) Ahh, i forgot about this one. Does there exist a Lynch-video about watches? Guys, playing an adventure game on a 5" display such as modern smartphones is already a challenge. Do you really want to play it on a smaller screen like a watch?! Or you are expecting that watches will increase screen size, becoming bracelets? That's it! All we need is an iWristband in order to strap a phone onto the wrist. With nine REAL buttons for the actions! AHAHAH! I had forgotten it! Oh, I just noticed that when Agent Ray walks over the slough, she makes "ploch ploch" ! Nice touch!! I'm already imagining this in my pocket. Forgive me if this has already been answered but, one question, How much music has been done on this game right now? The music is completely done, except for one song. How would you pronounce the name of the Linux programmer -- Joost? Depends on where he comes from. In germany we pronounce Joost like Yo-st (with a long "o" and "Yo" like in "Yo, man"). Awesome work, guys! It's amazing how well it looks on a first build. Why don't you tell us mor about how have you made it posible suche cross platform reality. It look really great. Did you used some kind of tool or something? You could make a very interesting post explaining that. Any hope for ps vita release? Much better, i want to play with my IPHONE. I´m nervous to play yet, i love Scuum aventures. I was just playing this one game on my Android phone (game credits include names Ron Gilbert, Robert Megone, Steve Kirk, David Fox and Jenn Sandercock, among others), and after half an hour I was just about to solve a tricky scene, when my battery died and phone turned off. I was sure my advancement was lost. But no! I relaunched the game and was very happy to notice the gameplay was exactly where it was just before the phone turned off :) After this I'm sure the mobile version of Thimbleweed Park will be excellent. Oh, I didn't know Jenn also worked on this game! She is in the "Android Special Thanks" section. I have played Rube Works (by Electrig Eggplant --> David Fox), but I missed Scurvy Scallywags. This one will be my game, played between Ace Attorney 6 (just finished) and Thimbleweed Park. Gosh, 139 MB... what a big game for a mobile version! He wasn't playing TWP. With TWP when the phone turns back on again Ransome will laugh at you and delete all your *beep*ing save games! Scurvy Scallywags is the game. Find it in your local Google Play store or App store.